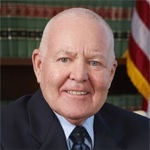 WASHINGTON, D.C. – (RealEstateRama) — In an effort to help residents with disabilities currently not eligible for the state’s senior freeze property tax reimbursement program because they receive disability retirement benefits from the federal government, Assemblyman Ron Dancer has introduced legislation (A-4130) to extend the program to disabled former federal employees. The homestead property tax program, known as the senior freeze program, is available only to disabled persons who receive Social Security disability payments. Since disabled former federal employees, hired before January 1, 1984, did not pay into Social Security but rather into a federal retirement system, they are not eligible for the state’s senior freeze program. Dancer’s bill extends senior freeze benefits to these employees.